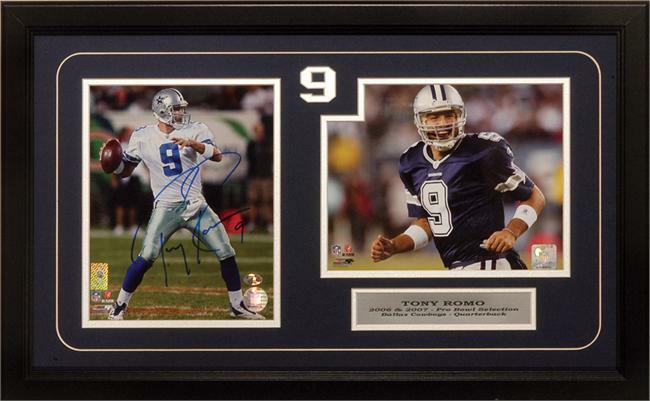 Celebrate the Cowboy's quarterback with these two 8x10 autographed photos of Tony Romo with custom nameplate. One photo is autographed and comes with a certificate of authenticity. All pieces are professionally matted and framed. This item comes ready to hang on a wall in your home or office!